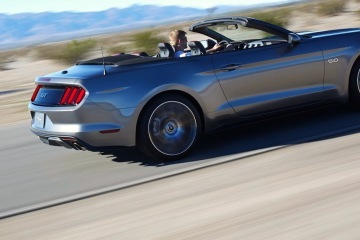 At the SEMA Show next month in Las Vegas, Ford will be celebrating the 50th anniversary of the Ford Mustang. 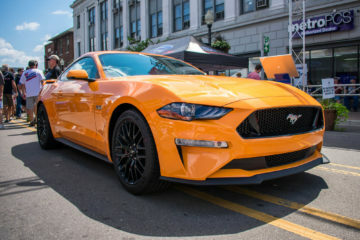 The Dearborn automaker will be there with a bunch of tuning firms displaying their take on the all-new 2015 Ford Mustang. One of the many tuners will be Galpin Auto Sports (GAS. GAS will debut a very special 2015 Ford Mustang GT that will be covered in gold touches. The 2015 GAS Mustang features a slight facelift on the front fascia that is designed to match the three strakes found in the factory Mustang headlamps. Power for the GAS Mustang has been modified with a Whipple supercharged on the 5.0 liter Coyote V8 allowing for a total output of 726 horsepower. There are also some additional performance upgrades including suspension and exhaust modifications. The 2015 GAS Mustang will be on display at the 2014 SEMA Show at the Las Vegas Convention Center from Nov. 4-7.